Saturday afternoon, the Ottawa Senators face off against the Carolina Hurricanes, in their first rematch since the bitter fight these two teams put up against each other on November 24 in Raleigh. We all remember that game, of course, which memorably reached its climax for Sens fans at the 1:07 mark of the first period when Jason Spezza made it 1-0 for Ottawa. It all went downhill from there, though, with the Hurricanes scoring three goals in just under six minutes. Boy, does that sound like a November game . . . but now it's January! With three out of a possible four points taken so far on this current road trip, the Senators are hoping to continue their recent success and finally climb into a playoff spot. Let's take a look at the starting goalies! 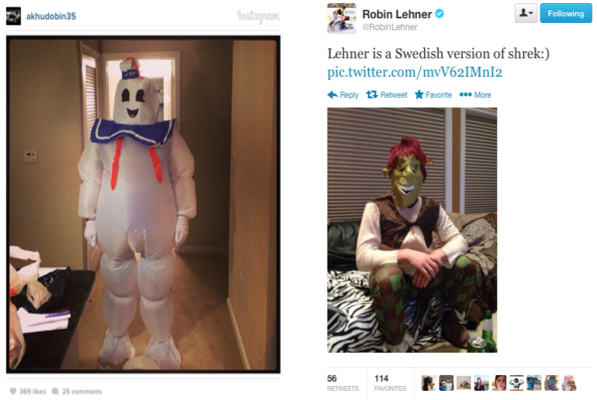 Lehner steps into Saturday's game for the first time since a 3-0 win over the Minnesota Wild on January 14. Despite having relatively strong numbers, Lehner's role has been reduced because of the strong play of Craig Anderson. Lehner's biggest moments in recent days have been bashing corsi, trying to prove that "Turnover Goal-Against Snipe" is four words, and saying that Sens TV is bothering. 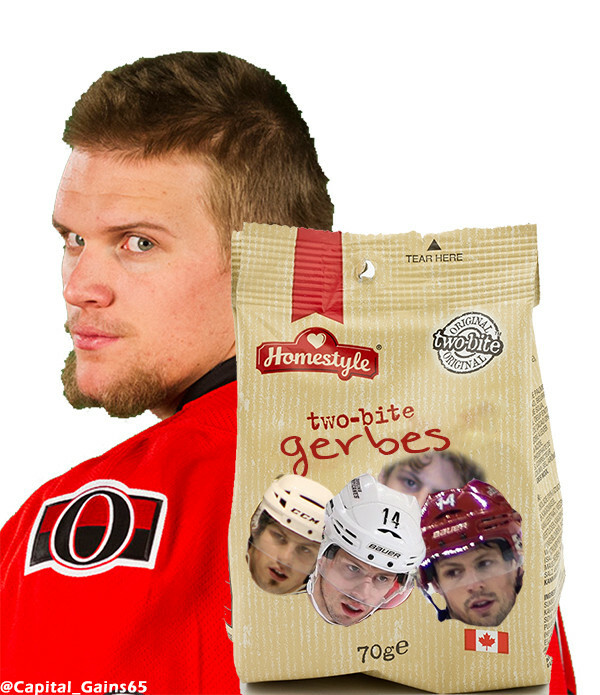 Lehner's start means that he will probably end up eating Nathan Gerbe like a Two Bite Brownie. I probably shouldn't make jokes about Nathan Gerbe. He had an excellent goal the other night against the Flyers. Two-Bite Gerbes - only a $1.4 Million Cap Hit. Available at your nearest Loblaws! With Cam Ward out with a lower body injury, Anton Khudobin enters Saturday's game boasting an impressive record. Khudobin is looking to get Carolina the two points necessary to tie Philadelphia for the final Wild Card spot. Khudobin has a 3-0-0 record with a 1.33 GAA and .967 SV% against the Senators. On Friday, Khudobin stated that it would be a game time decision if he would wear his normal goalie equipment or his Marshmallow Man suit to stop pucks on Saturday. As always, every night the Sens return to Carolina, it is the emotional, warm-hearted return of a player loved by all - Joseph Corvo. Although he may not be playing, remember that he is sitting in the press box, watching over the Ottawa Senators as they play his past and future team. Kyle Turris was spotted at Chick-Fil-A on his day off in Carolina eating a Spicy Chicken Sandwich Deluxe with Waffle Fries and a large Sweet tea to maintain his ridiculous amount of calories ingested. Meanwhile, Chris Phillips stopped by a local establishment and asked for a Big Rig Gold. "What do you mean you've never heard of Big Rig? It's right beside the big IKEA!" On Tuesday night, the game between the Hurricanes and Flyers in Philadelphia was postponed to Wednesday because of heavy snowfall and temperatures that dipped below freezing. Paul MacLean, fearing that the postponement would mean that the Sens-Hurricanes game scheduled for Friday would be moved to a dreaded Saturday afternoon headed to Philly and began digging to save his team! Stay out of defensive zone for the entire game.